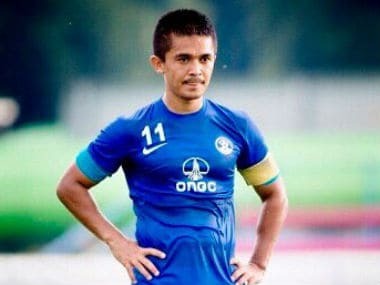 Bengaluru: Hit by the absence of key players, including Udanta Singh, due to injuries, the Bengaluru Football club (BFC) on Tuesday received a shot in the arm with captain Sunil Chhetri declared fit for Wednesday's must-win AFC Cup final group game against Maziya FC of Maldives. 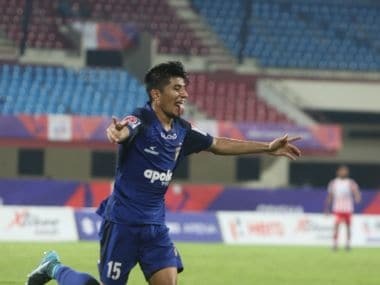 "Yes, Chhetri is fully fit for tomorrow," BFC coach Albert Roca told reporters on the eve of the match at Sree Kanteerava Stadium in Bengaluru. Chhetri had picked up a hamstring injury during Federation Cup. File photo of Sunil Chhetri. Image courtesy: Sunil Chhetri via Twitter. Roca said Chhetri had been working hard with the medical staff to make himself available for selection. "Sunil has been undergoing workouts and training, with the medical team, to recover from the injury. We will see tomorrow. Let us see," he added. Asked about the fitness of CK Vineeth, Roca said the Kerala player will also be available for selection and will look to continue his form. With the likely return of Chhetri, Vineeth would look to score as many goals he could and create opportunities for scoring. The Kerala player had scored a brace against Bagan to win Federation Cup title. Roca, however, ruled out Udanta for Wednesday's match. "The only one who is not available tomorrow is Udanta. 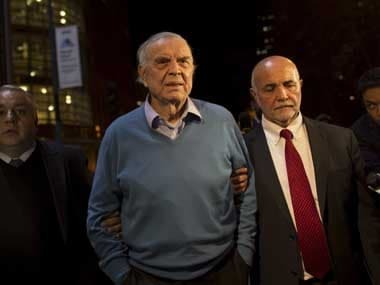 It is a shame that we will be missing him," he said. Udanta had limped out of the title clash in Cuttack against Mohun Bagan. 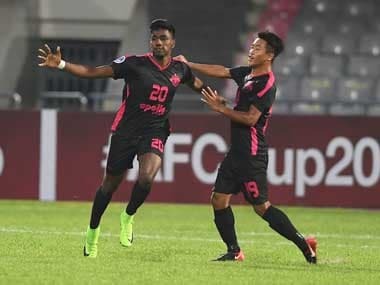 BFC will also be bolstered by the return of Harmanjot Khabra and John Johnson to the squad after they were suspended for AFC Cup match against Bagan. Roca's men may like to take a cue out of the earlier record against Maziya as they had trounced the Maldivian side thrice before in as many matches. "We have a 100 percent win record against Maziya and while the numbers do give us confidence, the record isn't something we will make too much of when we step on the pitch," Roca said. While a Bengaluru win will take them at level with leaders Maziya (12 points), a better head-to-head record against the Maldivian side will take the Blues through to the next round. As far as the visitors are concerned, Maziya are the reigning league champions of Maldives, and have registered four wins in their first five matches of the AFC Cup group so far. Maziya need just a draw to go into the next stage. Striker Mohamed Umair, who has been in terrific form, will be the man to watch out for. "The game against Maziya is another final, just that there's no trophy or medal at the end of it. And while we don't dwell too much on success that we have tasted, the team will look to draw inspiration from our Federation Cup triumph," Roca said. "We have left things late, but we need to back ourselves," said the Spaniard who famously guided the Blues to a historic AFC Cup final last season.